Trace your family history - do it yourself or have a professional do it for you. There is an increasing popularity to finding out where we come from – to trace your family tree or family history. Our ancestors lived and worked in very different environments to those we inhabit today and it is only natural to want to know where you came from and what life was like for previous family generations. For some, the thrill is in the chase and you may want to conduct your own genealogy research and only seek the advice of professionals when you hit a brick wall. For others you may choose genealogy researchers like us to do the legwork for you and to compile a complete family history. Whatev er your preference we can help you. A more detailed description of our services for an individual can be found on our how I can help you or do your own research pages. At Merlin Genealogy Solutions we do all this … and more. Just get in touch to find out how we can help. 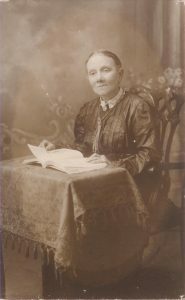 We work with individuals like you, to complete family history puzzles, as well as provide guidance if you are conducting your own research. Individuals – Merlin does the legwork to compile a complete family history, from sourcing official documents, to establishing medical heritage and obtaining photographs of locations significant to the family. DIY research – individuals frustrated with brick walls or dead ends in their own search are helped by Merlin to complete their story, through purchased guides, advice on the next path to take, or assistance on specific elements of the search. 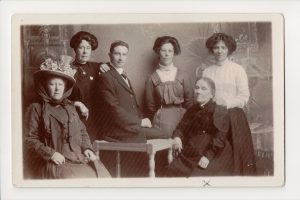 Visit our stand to pick the brain of our genealogist, for all-important nuggets which could unlock your family history. We will have printed copies of our handy advice guides for you to purchase and take away with you which give you top tips on how to conduct your own research. You can also book Elizabeth for a talk at an event, or secure an appointment post-show to discuss how she will solve your genealogy challenges.